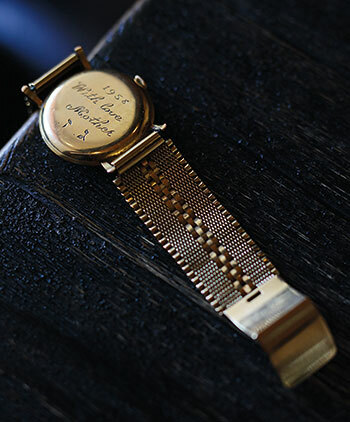 For years, Michael Bornstein, PHA ’62, wished he could wash away the serial number—B-1148—that was seared into his left forearm when he was just 4 years old. He’d mention Auschwitz, if asked about the tattoo, but he wouldn’t dwell on the Nazi death camp where his father, brother, and nearly 1 million other Jews were murdered during World War II. He’d seldom speak of being separated from his mother, who withstood beatings from female guards as she smuggled bread and thin gray soup to him in the children’s barracks, and who later smuggled him into the women’s barracks before she was sent to a labor camp in Austria. 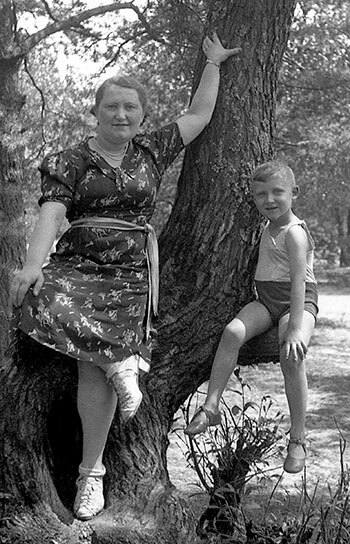 He wouldn’t say much about how his grandmother somehow, improbably, kept him alive long enough for them to be among the 2,819 prisoners liberated by Soviet soldiers. His recollection of those dark days is dim—“a blessing and a curse,” he says. He seems to recall the stench of bodies burning, the smoke rising from crematoria chimneys, the quickening clack of guards’ boots. But he’s also aware of the malleable nature of memory, how the things we recall, especially from early childhood, are shaped by some inscrutable mix of perception, imagination, and the stories we’re told. And so for years he stayed mostly silent about his past, not only because it was traumatic but also because so much of it—the texture of his brother’s hair, the sound of his father’s voice—was inaccessible to him. As his kids grew up, they began pressing him for details about his past, but he’d always resist a full recounting. Now Bornstein is 77, and his children have children of their own. 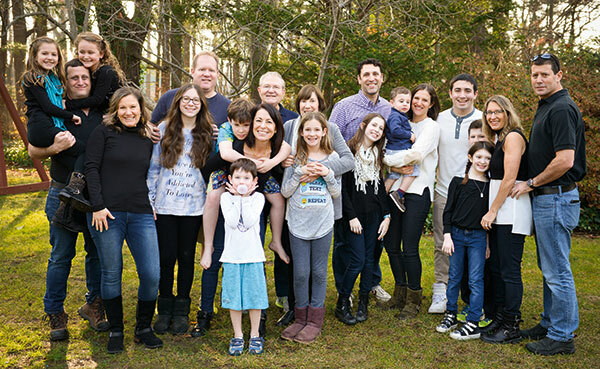 Several years ago, when Jake Wolf, the eldest of his 11 grandkids, started asking questions, wanting to use the information for his bar mitzvah project, Bornstein couldn’t say no. He began to open up. 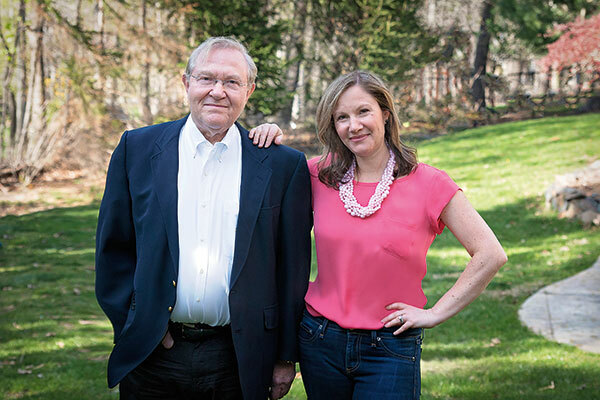 Bornstein wrote the book with his daughter Debbie Bornstein Holinstat, a TV news producer who for years had urged her father to work on such a project. She helped him plumb his earliest, darkest memories, and together they searched historical records and interviewed relatives and others who knew his family in Poland. In the process, they discovered a detail that helped solve one of the biggest mysteries of his survival, and he learned much about the resolute, resourceful father he never got to know. Together, they reclaimed a family heritage, illuminating stories of loss and resilience that had been left largely untold for 70 years. Michael Bornstein was born on May 2, 1940, in the Nazi-occupied town of Żarki, Poland, the second son of Sophie Jonisch Bornstein and Israel Bornstein, baby brother to 4-year-old Samuel. They lived in a redbrick house on Sosnawa Street. 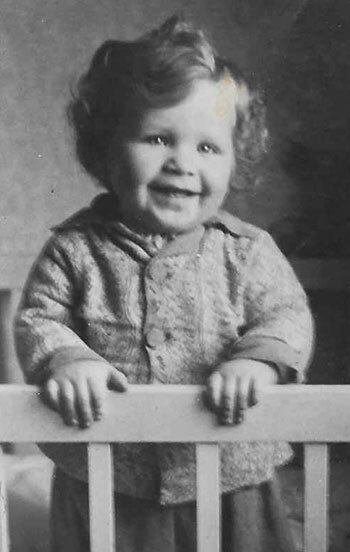 Michael Bornstein as a baby in Żarki, Poland. “I shared all of my mother’s fair features, with milk-white skin, a mess of dirty-blond curls, and bright blue eyes—rare coloring for a Jew,” he writes. In some parts of Poland during the late 1930s, Jews couldn’t own land, and their business dealings were restricted. But Jewish-owned businesses thrived in Żarki, where more than half of the town’s population, approximately 3,400 residents, was Jewish. Bornstein’s father was an accountant, and his mother’s brother Sam Jonisch (one of her six siblings) ran his family’s leather tannery in town. That changed on Friday, September 1, 1939, when German forces invaded Poland, reaching Żarki the following day with an aerial attack that torched some homes and businesses. Sophie, newly pregnant with Michael, wanted to check on her parents, who lived nearby. But Nazi storm troopers had already moved onto the streets. On Monday, when all Jewish men in Żarki were ordered to report for labor shifts, Sophie left Samuel with her mother-in-law, Dora, and set out to find her parents. As she neared the Jewish cemetery, she saw German soldiers command a family she recognized from synagogue to strip naked. As mother, father, and young daughter huddled together, the soldier fired three shots, and the family fell dead in the ditch the father had just dug. It was a scene that haunted Sophie Bornstein her entire life. In October, as Nazi soldiers went door-to-door confiscating Jews’ money and jewelry, Israel Bornstein sought to safeguard his family’s valuables. He gathered what he could in a burlap sack—a string of pearls, a stash of banknotes, the family’s small silver kiddush cup—and buried it in the backyard. Żarki was still an open ghetto at the time, which meant that it wasn’t surrounded by fences, but Jews couldn’t come and go as they pleased. The Nazis shut down or took over Jewish businesses, enforced a strict curfew, and made Jews wear white armbands with a blue Star of David on them. They also forced them to create a Judenrat, a council of Jewish leaders. The town elders elected Israel Bornstein to serve as president. It was not a coveted role. Many Jews in Eastern Europe came to see Judenrat members as traitors, simply doing the bidding of the Nazis, and in Żarki people viewed Israel with suspicion. 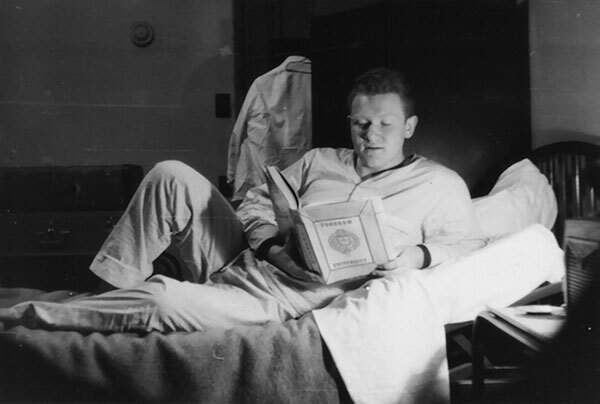 But in their research, Bornstein and Holinstat found a collection of essays and a detailed diary written in Hebrew that told of Israel Bornstein’s heroic, often successful efforts to make conditions more bearable. 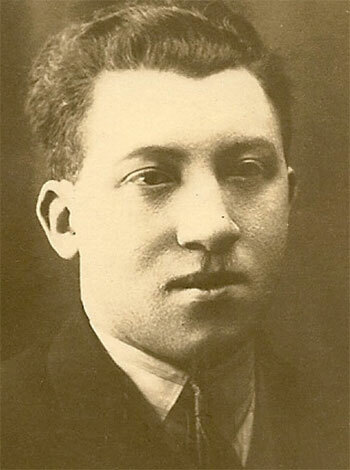 In Survivors Club, they describe how he collected money from fellow Judenrat members and used the funds to bribe Gestapo officers, helping to obtain 200 legal travel visas for families trying to leave Żarki, for example, and saving the life of a teenager who faced execution because he was too sick to work one day. By October 1942, however, the call had come for Żarki to be made Judenrein, “clean of Jews.” Most of those remaining were sent by train either to labor camps or to extermination camps. The Bornsteins and approximately 120 others were allowed to stay behind as part of a cleanup crew, but eventually they too were sent away, to a labor camp in Pionki. 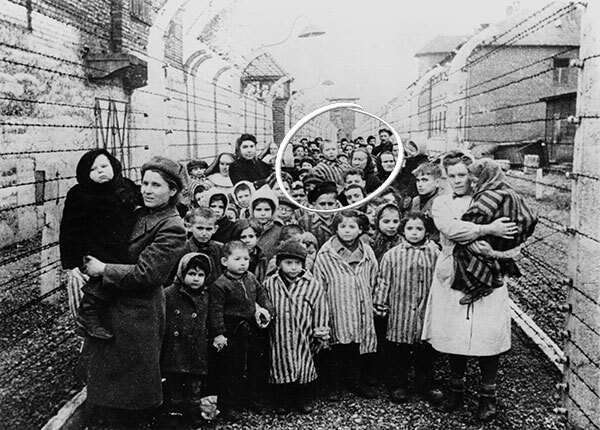 And in July 1944, when that camp closed, they were packed onto trains bound for Auschwitz. Upon arrival at Auschwitz, like all families, they were split up: Israel and Samuel were assigned to the men’s side. Michael initially stayed with his mother and grandmother until guards shaved his head and tattooed his arm. He was sent to the children’s barracks, where some older kids looked out for him, warning him to hold his nose as he drank down the smelly gray soup. Other kids stole his bread. Sophie was sent to the women’s barracks with Michael’s grandma Dora. She risked her own well-being to find her son and eventually bring him into the women’s barracks, where he hid under straw, in corners, scattering at the sound of guards approaching to take roll call. While Sophie was able to protect Michael, she was helpless to save her husband and young Samuel, who died in September from the effects of Zyklon B gas—the Nazis’ preferred method of execution at Auschwitz, where as many as 6,000 people per day were killed in gas chambers. “[My mother] later told me that her heart literally felt like it had been gouged from her chest with an ax” when she learned of their fate, Bornstein writes. Soon, however, she was sent to a labor camp in Austria, and Michael was left alone with his grandma Dora. By January 1945, with Soviet forces closing in on Auschwitz, the Nazis started to evacuate the camp, forcing an estimated 60,000 prisoners on what came to be known as a death march to concentration camps in Germany. Many prisoners, already frail from malnutrition, died from exposure in the harsh winter. But Michael and Dora evaded the march, and Bornstein always wondered how. Bornstein’s freedom brought with it a new set of dangers. “I would like to tell you … that all of us went home and lived happily ever after,” he writes. “But it wasn’t like that at all.” Four out of 10 Jews who survived the concentration camps died within a few weeks of the arrival of the Allied armies. Those who did survive found much of Eastern Europe unsafe for them, particularly in Poland, where anti-Jewish sentiments led to a series of murderous pogroms. Sophie Bornstein and her son Michael reunited after the war. Sophie realized that there was little opportunity left for them in Żarki. But first she tried to recover the valuables her husband had buried. 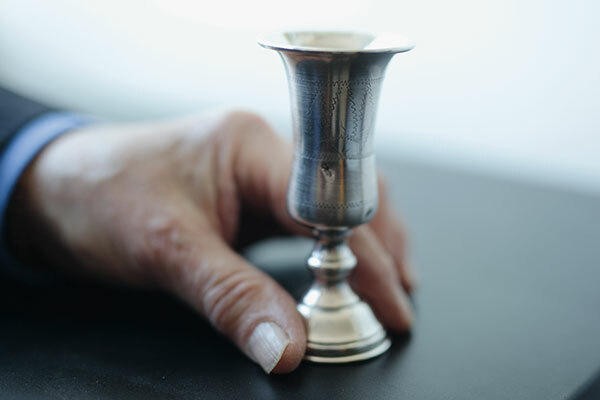 “At night, even though the house was occupied, she went digging with her bare hands to try to find these things, jewels and money, and the only thing that she found was the kiddush cup, which is a cup that you make blessings with,” Bornstein says. After the war, Dora decided to remain in Poland, but Sophie determined that she and Michael would apply for visas to the United States. “She said the word ‘America’ the way a child says the word ‘candy,’” Bornstein writes. “She told me America was the most wonderful and welcoming place you can imagine.” That was not the case for them in Żarki or in Munich, where the Hebrew Immigrant Aid Society assigned them to a displaced persons camp and, later, to a one-room apartment in the city. “The German kids were bullies,” Bornstein recalls. “I had no hair on my head, I was skinny, and I didn’t speak the language, so I was bullied quite a bit.” Sophie bought flour and nylons from American soldiers and sailors in Munich, and sold the goods on the black market. It was a risky way to make a living, and Bornstein feared that she’d be arrested and he’d lose his mother again. But after nearly six years, they received their visas and set off on the USS General M. B. Stewart, arriving in New York City in February 1951. At Fordham, Bornstein was allowed to sleep in the infirmary when the University learned that he had no place to live. In addition to providing Bornstein with room and board, Fordham gave him a partial scholarship. He spent summers working in the Catskills to help pay any remaining tuition costs. 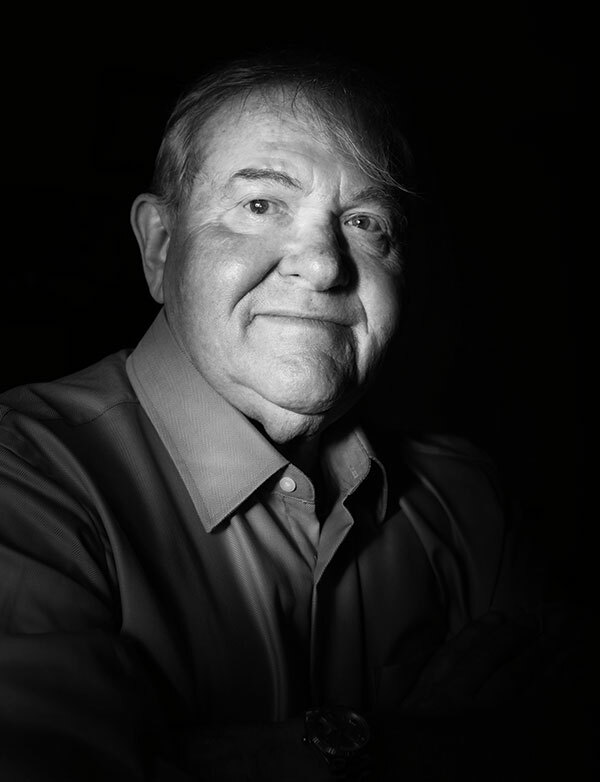 “I was a chamber maid, then a busboy, then a waiter, and finally a head waiter,” he recalls. “The salary was only about twelve dollars a month, but the tips made it.” On campus, he found a niche on the fencing team. Bornstein was a four-year varsity letter winner on the Fordham fencing team. As a graduate student at the University of Iowa, Bornstein met and fell in love with Judy Cohan. They were married on July 9, 1967. 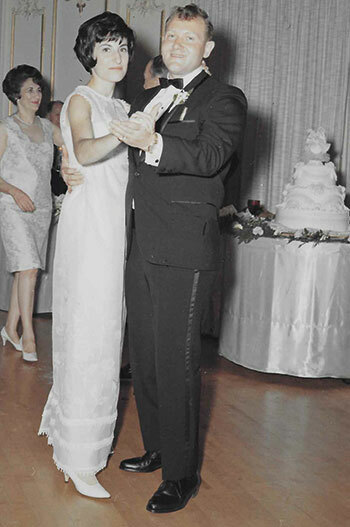 They were married nearly 50 years ago, on July 9, 1967, after Bornstein began his career at Dow Chemical in Zionsville, Indiana. While there, he reconnected with Stavropoulos, who had earned a Ph.D. in medicinal chemistry at the University of Washington and would go on to become chairman and CEO of Dow. The two, both newlyweds at the time, would see each other socially, and Stavropoulos even helped the Bornsteins move into their new apartment. But they lost touch over the years. “He went to work for Eli Lilly, and I stayed at Dow,” Stavropoulos recalls. In the late 1980s, Bornstein and his family moved to New Jersey, where he worked as a research manager for Johnson & Johnson, eventually rising to director of technical operations, a position that took him to Belgium, Switzerland, Italy, France, and elsewhere. B.A. Van Sise’s portrait of Michael Bornstein is also featured at the Museum of Jewish Heritage in Lower Manhattan, as part of “Eyewitness,” a series of 31 portraits of Holocaust survivors by Van Sise. Holinstat says her dad’s courage was especially evident during the process of writing the book. “My father is such a positive man, and he’s gone out of his way his entire life to show his kids and his grandkids nothing but positivity, so for him to dig deep and be willing to open up and talk to me about the deepest, darkest places in his memory was difficult for him, and it was hard for me because I knew how hard it was for him.” But the process has been well worth it, she says, explaining that they wrote Survivors Club with readers as young as 10 years old in mind. Holinstat waited decades for the opportunity to help her father tell his story, but she feels the timing of the book’s publication could not be more poignant or pointed, coming amid a recent surge in anti-immigrant and anti-Semitic sentiments in the U.S. “I truly believe that this story is being released now for a reason, to remind people what happens when bigotry goes unanswered,” she says. Bornstein plans to return to Poland this year with Judy, their children, and other family members. 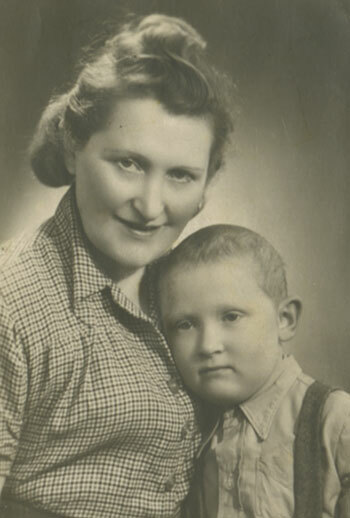 Holinstat has been communicating with people in Poland about establishing a Holocaust memorial in Żarki, and the family will be going to Auschwitz, which Bornstein visited in 2001 with Judy and in 2010 with his son, Scott. Since the publication of the book, Bornstein has heard from many people who have thanked him for telling his story, including some who understand all too well what he and his family endured. 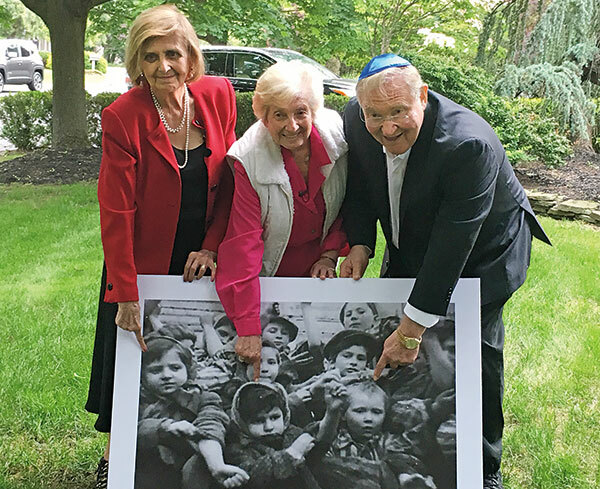 Sarah Ludwig was the 4-year-old girl standing next to Bornstein in the iconic photo from Auschwitz. Tovah Friedman, then 6, stood just behind Ludwig as the children showed their tattoos to Soviet soldiers. The three survivors recently learned that they live just miles from each other in suburban New Jersey. On Sunday, June 4, they gathered with kids, grandkids, and other relatives for a reunion brunch at Holinstat’s home that included prayers of remembrance and celebration, and the use of one precious silver cup. For Holinstat, it was a remarkable coda to the experience of helping her father tell his story after all these years. —Ryan Stellabotte is the editor of this magazine. Watch NBC Nightly News‘ coverage of the reunion.